Instructor – SRM – 2005 to 2006. Priya, V. S., Swaminathan, P., Muddapur, U. M., Fandilolu, P. M., Parulekar, R. S., & Sonawane, K. D. (2018). Peptide Similarity Search Based and Virtual Screening Based Strategies to Identify Small Molecules to Inhibit CarD–RNAP Interaction in M. tuberculosis. International Journal of Peptide Research and Therapeutics, 1-13. Swaminathan, P., & Saleena, L. (2017). Evaluation of Cardiospermum halicacabum leaf compounds against human Dihydro Orotate dehydrogenase: A target for rheumatoid arthritis using structure based drug designing. Journal of Applied Pharmaceutical Science, 7, 48-61. Swaminathan P.(2015). E-pharmacophore screening and induced fit docking of Phytocompounds against human dihydroorotate Dehydrogenase. International journal of Pharma and BioSciences 8(1): (B) 641-647. Swaminathan P, Sukesh K, Saleena LM. (2014). E-Pharmacophore and molecular dynamics study of flavonols and dihydroflavonols as inhibitors against DihydroDeHydrogenase, Combinatorial Chemistry and High Throughput screening, 17(8), 663-673. Won second place in the oral paper presentation at the National conference on Recent advances in Bioengineering in 2008. Reviewed papers for PeerJ and PlosOne Resource person at workshops conducted by the Bioinformatics department, Madras veterinary college Vepery. Santhosh Kumar N, Sathya B, and Thirumurthy M. (2017). Theoretical analysis of somatostatin receptor 5 with antagonists and agonists for the treatment of neuroendocrine tumors. Molecular Diversity, 21(2), pp.367-384. Santhosh Kumar N, Sathya B, Sohn H, Panneer D, and Thirumurthy M, (2017). 3D-QSAR studies on indole and 7-azoindole derivatives as ROCK-2 inhibitors: An integrative computational approach. Computational Biology and Chemistry, 71, pp.104-116. Sathya B, Santhosh Kumar N, Hang Lee S, and Thirumurthy M, (2016). Structural characterization of human CRTh2: a combined homology modeling, molecular docking and 3D-QSAR-based in silico approach. Medicinal Chemistry Research, 25(4), pp.653-671. Abinaya B, Manish B, Meenakumari S, Thirumavalavan M, Thirumurthy M, Santhosh Kumar N, Velusamy P and Pachaiappan R (2018). Isolation, purification and characterization of proteinaceous fungal α-amylase inhibitor from rhizome of Cheilocostus speciosus (J.Koenig) C.D.Specht. International Journal of Biological Macromolecules, 111, pp.39-51. Sathya B, Rupa M, Santhosh Kumar N, Sohn H, and Thirumurthy M, (2016). Molecular Modeling Study on Diazine Indole Acetic Acid Derivatives for CRTH2 Inhibitory Activity. Combinatorial Chemistry & High Throughput Screening, 19(6), pp.444-460. Performing 3D QSAR, DFT calculations to check for modifications in ligand conformation for better activity. 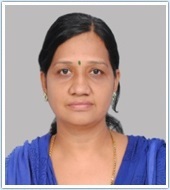 Presented a paper on “Experimental Investigation of Al (2014) – Nickel Coated Alumina Metal Matrix Composites Fabricated by Stir Casting” (funded by CTDT)-International Conference on Materials, Design and Manufacturing Process, pages 493-498, Chennai. Mehta, A. (2015). Financial Inclusion Links to Energy Poverty in India. EPRA International Journal of Economic and Business Review, 3(4). Mehta, A. & Sinha, A. (2011). Net Elasticity: A thought beyond ceteris paribus. Management Canvas, December 2011, IIM Indore. Parida, P.C. & Mehta, A. (2009). Public Finance. Quarterly Review of the Economy, July 2009, NCAER, New Delhi. Parida, P.C. & Mehta, A. (2009). Public Finance. Quarterly Review of the Economy, April 2009, NCAER, New Delhi. Parida, P.C. & Mehta, A. (2008). India’s balance of payments in 2008-09. Macrotrack, December 2008, NCAER, New Delhi. Bhattacharya, J. & Mehta, A. (2015). What Discriminates the Welfare Outcomes of Children in India – A Multiple Discriminant Analysis in Selected States, Working Paper No. 03/014, Indian Institute of Management Indore. Research Associate, National Council of Applied Economic Research, New Delhi, 2007-2009. Received full scholarship from Central Bank of Sri Lanka to present a paper titled “What form of Financial Development Works Best for Poor in Rural India?” at the 8th International Research Conference on December 7, 2015 in Colombo, Sri Lanka. My paper was one of the eight papers selected for presentation from submissions received across countries. 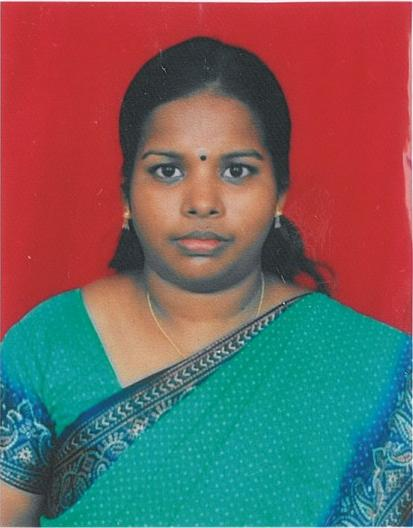 Programmer at Bharathiyar Arts & Science College for Women from 2012 – 2013- Affiliated Periyar University, Salem. Programmer at Faculty of Management, SRM Institute of Science and Technology (formerly known as SRM University) from 28-Mar-2016 to 10-Jan-2017. Mini Project “CONTRACT REVIEW EXECUTION AND BILLING”-Developed By Visual Basic (6.0)-Front End, MS-Access-Back End. [M.Sc., Final Year Project]. Main Project “YELLOW PAGES”- Developed By Visual Basic. Net-Front End, MS SQL Server 2005 Express Edition-Back End. [M.Sc., Final Year Project]. Thesis “ FACE IDENTIFICATION USING NEAREST FEATURE SPACE”,[M.Phil Research], Domain: Digital Image Processing,Tools: Matlab 9.0. Affiliation: Department of Computer Science, FSH, Kattankulathur Campus, SRM IST. Paper was presented in the Research Day conducted by SRM University in the topic of “Enhancing the trustworthiness of tweets to establish the effective crisis management - Using Twitter analysis of Chennai Flood.” In Feb 2016. "To Seggregate trusted information among the tweets for an event"
“WORKSHOP ON BIGDATA ANALYTICS”for two days in Jan 2016 conducted by Department of Computer Applications, SRM UNIVERSITY . “ BIGDATA FOR ALL “ - International workshop on Sept 2016 conducted by Department of Information Technology , SRM University. Best paper Award for the paper was presented in the Research Day conducted by SRM University in Feb -2016.